KEN YUSZKUS/Staff photo. 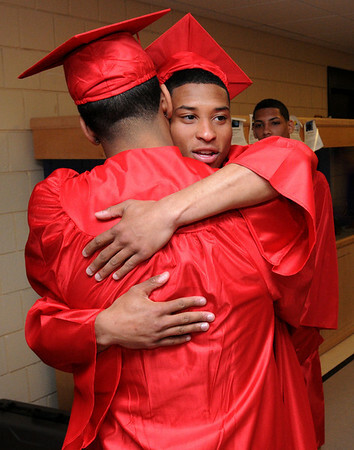 Bryan Lora, left, and Shakir White hug as the graduates are assembling before the start of the Salem High School graduation. 6/6/14.